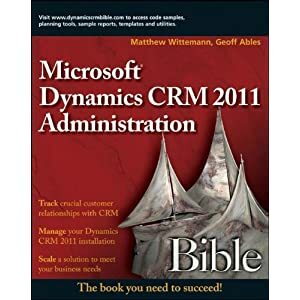 Microsoft has finally released the beta of Microsoft Dynamics CRM 3.0 at http://www.mscrmearlyaccess.com. It is available to all Microsoft partners. While you can download it online, it is a hefty 462MB, so you will probably want to order the free CD (shipping is extra). There are two version: Professional and Small Business Edition. I haven't seen a feature comparison yet, but I'm sure it's in the works, and I'll post it here as soon as it is available. Do you know when (or if) the CRM v3.0 BETA will be made available to MSDN subscribers (before general availability next year)? All you need to do to get your hands on it now is become a Registered partner, which is free and pretty easy to do. See www.microsoft.com/partner. Is there a way to "marry" a Contact to an Account in CRM?